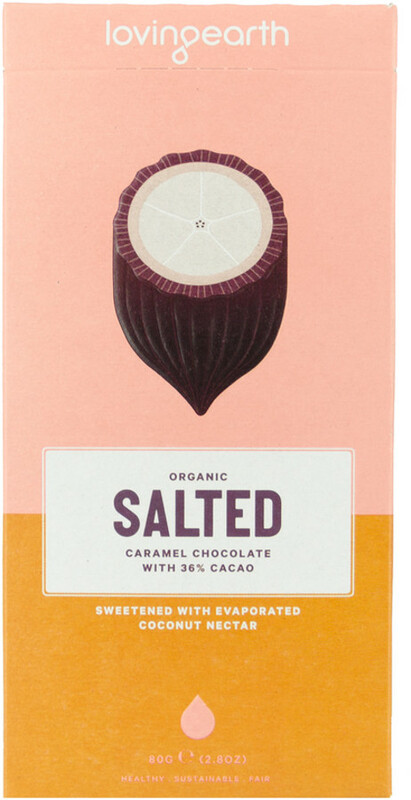 This deliciously creamy organic salted caramel chocolate bar is a blend of fairly traded ingredients: Raw Cacao Butter, Creamy Raw Cashews, Coconut, Evaporated Coconut Nectar ( home processed by villagers in Indonesia) and a pinch of Pink Lake salt. So delicious and indulgent that you won’t believe it is gluten free and has no sugar or dairy. Packaging for the chocolate bars is 100% biodegradable. The clear film that the bar is flow wrapped in is a compostable certified film made from plant material so you can throw it in your compost and it will break down in a couple of months. The box is made from 95% post consumer recycled material and it is printed with vegetable inks. virgin cacao butter*, evaporated coconut nectar*, raw Cashews*, coconut*, Pink Lake salt (<1%). 36% min cacao. 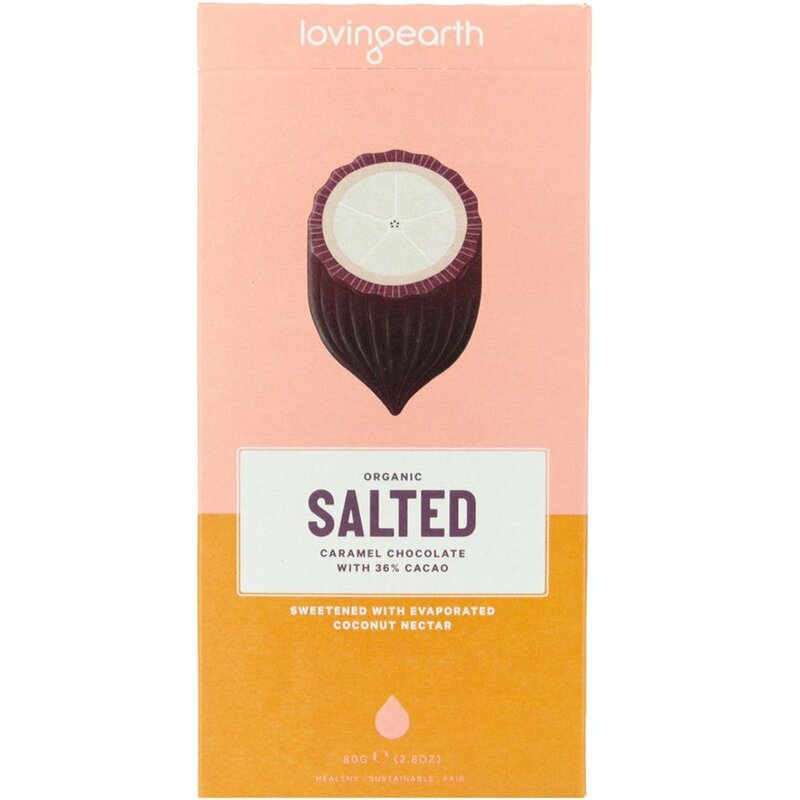 The Loving Earth Salted Caramel 36% Cacao Raw Chocolate - 80g product ethics are indicated below. To learn more about these product ethics and to see related products, follow the links below. 1 squares leads to another...and another..and another...and..where did the bar go? Unfortunately not to my taste, not chocolatey at all. There are currently no questions to display about Loving Earth Salted Caramel 36% Cacao Raw Chocolate - 80g.